In 2005, a land dispute erupted in the Mount Elgon region of Kenya’s Rift Valley. The corrupt local militia, “Sabaot Land Defense Force” began raiding villages, extorting bogus “taxes”, killing civilians, and currying favor with local politicians. Over the next three years, the SLDF was implicated in the death of at least 600, and the displacement of over 66,000 people. In 2008, Kenyan security forces launched a major military operation against the SLDF, killing its leader and effectively halting its progress. 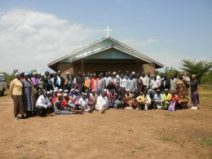 WDA remains committed to providing training and resources to Christian leaders in Kenya. Our prayers are with the pastors and leaders of Mt. Elgon as they navigate the fallout of recent violence in their region. If you are interested in becoming an international trainer for WDA or would like to support WDA’s international ministry, please click here! Since I rarely watch TV, I don’t know how to turn on or control the TV. I am also fairly oblivious to most pop culture. On this particular night, however, I was sitting in the living room with my husband who was watching what I call “the angry Stock Guy.” The Angry Stock Guy has a button-down shirt, sleeves rolled up above his elbows, looks mad and yells about stocks. He probably gets paid big bucks for this. I was on the sofa checking my e-mail. After responding to some e-mails, I noticed that my husband was asleep and Donald Trump had taken over where the Angry Stock Guy left off. 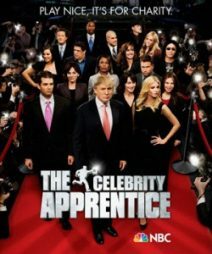 Celebrity Apprentice, if you don’t know, is a competition between a group of men and a group of women, all famous, who want to please Donald Trump and raise money for their charity of choice. As I watched the drama unfold, I realized several things. One, to my chagrin, I am really interested in watching this show and I am annoyed when it is interrupted by Tornado Warnings. Two, I have never heard of three-fourths of the celebrities competing. Three, the men are handling themselves really well and the women are acting like spoiled, loud children. About halfway through I realized that the reason for the difference in attitudes and interactions was the way the team leaders handled themselves. The team leader for the men was a guy named Penn Jillette, who is apparently a famous magician. His regard for his team members was obvious. He took charge with quiet, strong authority. He placed people in roles perfect for them. He treated each person with respect. There was no sniveling, arguing, backbiting or dissension on his team. At the end, when Donald Trump asked him whom he would fire from the team if he had to, he reluctantly named two team members, explained why and then apologized to them for having to remove them. When one of the men responded angrily, Penn Jillette turned to him and said, “I understand, you are absolutely correct and I hope you will forgive me.” Then, when they went “off camera”, which is not really off camera, Penn Jillette again apologized to both men and asked for their forgiveness. 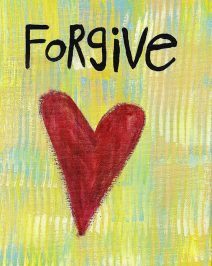 He actually used those words, “Please forgive me.” He modeled humility and regard for others. At this point, I was pretty impressed with Penn Jillette. Here was a famous person with a small ego and a strong character. I wanted to know more about Penn Jillette. I wondered if he was a follower of Christ. So, I googled him. I was sort of surprised when I read that he is not only NOT a follower of Christ, but he is an avowed atheist. I guess I was surprised in a sad kind of way. But like some atheists, Penn Jillette has left room for God. He confesses, “I am an atheist because I don’t know.” And I realized that what I was seeing in Penn Jillette was still the image of God. Penn’s inner sense of right and wrong was obvious and the way he related to people was a clear reflection of God’s values. Whether Penn Jillette knows or not, it is obvious that he is created in God’s image and he is reflecting that image more clearly than some of us who profess to be followers of Christ. So, Penn Jillette, I will be praying for you. To know. And I will be trying to reflect God’s image to others as well as you have. And I wonder, if someone who doesn’t know reflects God’s image so well, how can we who do profess to know, do a better job as image bearer’s? How do people see God’s image reflected in you?